Great news Binweevils players! 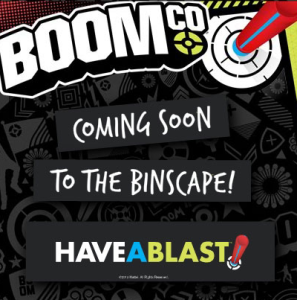 BoomCo is coming to the Binscape soon. This is one of the biggest add ons or changes that Bin Weevils has made for a long time. We are unsure what the BoomCo will consist of but we do know that it is a new area that will be added to the Bin Weevils map. You will be able to get your blast on in this new area when it comes out. We do know that you will be able to do many different things in the BoomCo found in the Binscape. From the rumers spreading it may consist of you being able to blast things in the BoomCo but we are not sure. What do you guys think it is? Let us know what you think the BoomCo will be when it comes to Bin Weevils by leaving a comment in the comment box below.